There are very few books that have ripped my heart out and mended it quite like The Fault in Our Stars has. This book is beautiful in every single way: it’s the perfect length, its plot advancement is steady, and the characters are so realistic. 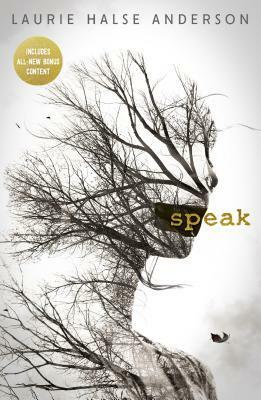 This is one of the only books I’ve ever read that I continuously had to put down while reading and ask myself, Was that okay? The Fault in Our Stars tells the story of Hazel Grace Lancaster, a teenager who’s suffering from terminal cancer. Through a support group she meets Augustus Waters and they quickly form a friendship that breeds love. They teach each other what life is all about, and they go on wonderful adventures free from fear and illness. Really, the cancer in this story is second to the love that Hazel and Gus share, which is quite remarkable. Ultimately, we know that cancer must pillage this relationship, the lives of these two characters, and the lives of all the people who know them. This is why I love John Green’s dedication so much: he dedicated this absolutely epic story to Esther Earl, a nerdfighter who died of cancer in 2010. This dedication, and the book it belongs to, proves that cancer can’t take away your legacy. When I found out it was Gus who was going to die first I was devastated, and shocked, and broken. Gus was supposed to be safe. Gus was supposed to be the one to watch Hazel die. I don’t know what it is about this twist that made me feel sick to my stomach; I guess it’s because I was proven wrong. There are no sure things in this life. Gus was in remission, on the mend, and yet he’s the one to lose his life first. He had an 85% chance of surviving cancer-free, and yet he was a part of that 15% that couldn’t. I think the scariest part about Gus dying so quickly is that he doesn’t look or seem sick until the very end. Cancer lived in him, everyone unaware, for who knows how long. Cancer was alive and well but nobody knew. What a horrifying thought. Hazel is the kind of girl I’d want to be friends with in real life. She has this crushing illness that has incapacitated something we all take for granted: the ease of breath. The closest I can come to understanding what Hazel goes through is to think of the experience of having a cold. I hope that sounds as stupid as I think it does. Hazel has this beautiful family life that I find myself gravitating towards. Her parents don’t really treat her like she’s a dying cancer patient, but treat her like their daughter. They encourage her to make friends at support group (even knowing those friends will likely outlive her), encourage her relationship with Gus, and indulge her dream of going to Amsterdam. We should all be so lucky. I have to say, the one character who pulled at my heart strings the most is Hazel’s mother. I can only imagine what living her life must be like, and she is steadfastly strong. Now that is a woman worth admiring. For anyone who’s watched the movie but hasn’t yet read the book, do read the book. It is a beautiful experience that I think everyone should have the pleasure of witnessing. Hazel and Gus might just break you and then put you back together again. 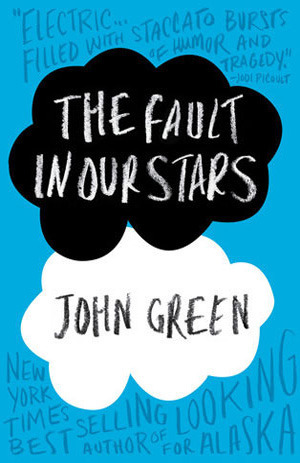 My full review of The Fault in Our Stars by John Green is also available on Goodreads. Have you read The Fault in Our Stars? Please leave a comment below (spoiler free)!